I confess. I’m obsessed with Instagram. Obsessed … or passionate? 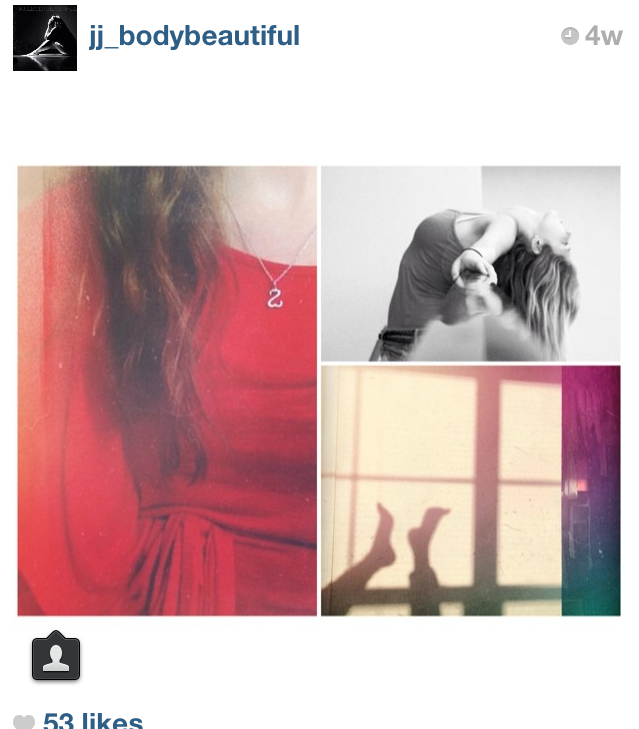 I have a blossoming love for photography, and I recently discovered the magic of Instagram. 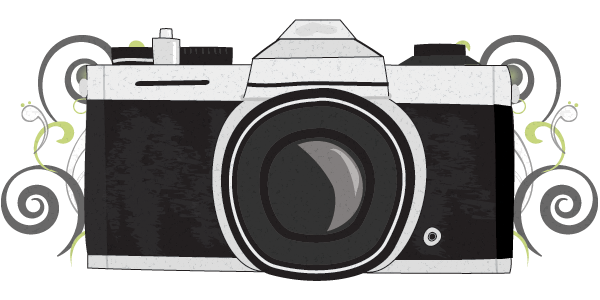 This photo app allows anyone – regardless of skill or prestige – to engage with an extensive community of other awesome photographers for free. I decided that to make the most of Instagram, I had to find a niche community. A lot of my friends have been asking me who “JJ” is, as I am ALWAYS using some form of a “JJ” hash tag in my photos. So, allow me to introduce to you Josh Johnson, Kevin Kuster, and the rest of the “JJ” family; made up of professionals photographers, editors, anarchy groups and amateurs like myself. 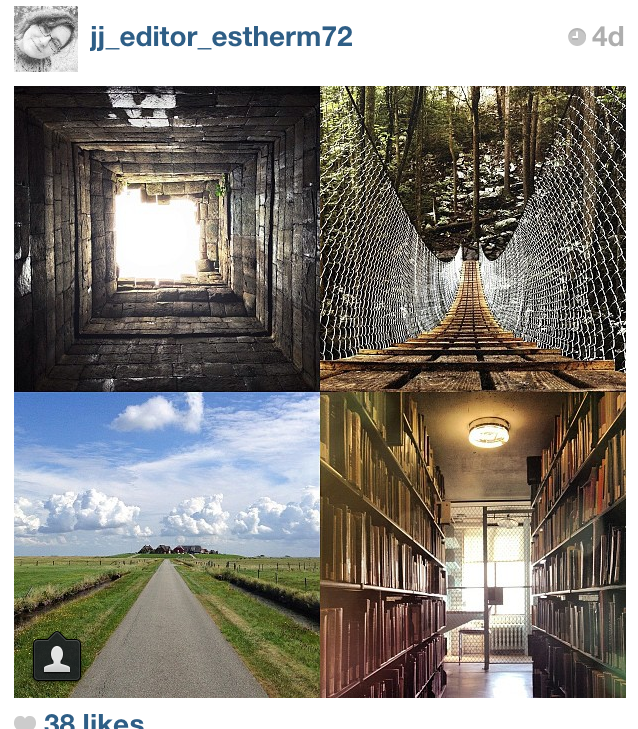 Josh Johnson featured this mega-grid on his Instagram feed, highlighting images from various anarchy groups. 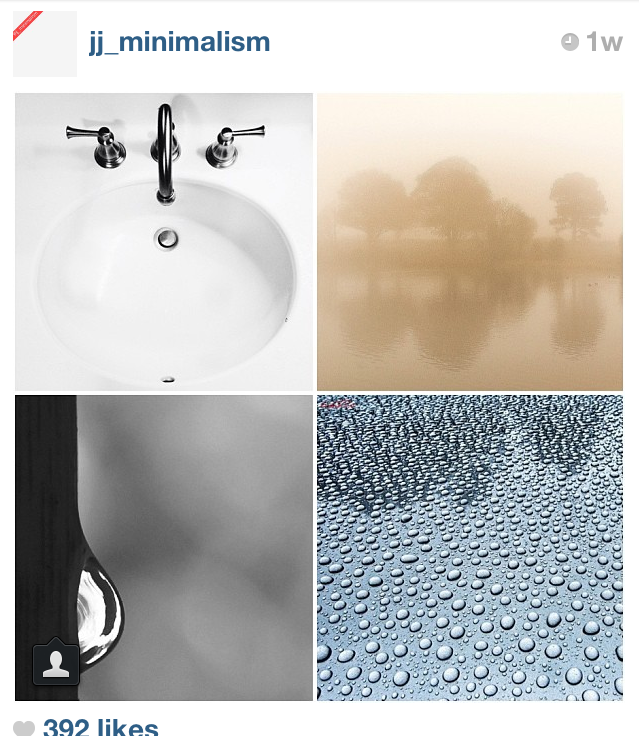 My umbrella photo, posted to #jj_colorful, is in the top left square directly above the #jj logo. 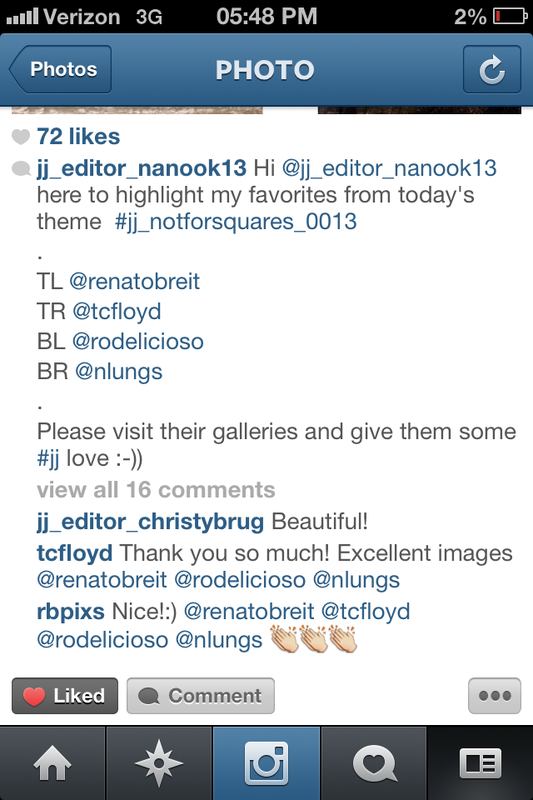 With daily events since 2010, #JJ is Instagram’s first and most active photography community. Every morning at 9 a.m. New York time, founder and photographer Josh Johnson (using the handle @joshjohnson) posts a theme for the day. Instagram users can then tag their images to the day’s gallery using a hash tag such as #jj_forum_0668 for a chance to be featured. Joshson, Chief Photo Editor Kevin Kuster, and a team of chosen editors encourage engagement asking posters to follow the “1-2-3 rule”: for every one image you tag, comment on two other images and like three more. For more on the Instagram community, check out this interview We Are JUXT did with Johnson. Some people might look at us Instagram-fanatics and think we’re taking this cool photo-sharing app too seriously, devoting too much of our time and talent to it. However, I’ve found that Instagram gets more exciting the more you get involved. You’ll find that the #JJ community is about communication and encouragement, as we inspire and challenge each other. In the end, though, it’s really just about having fun. 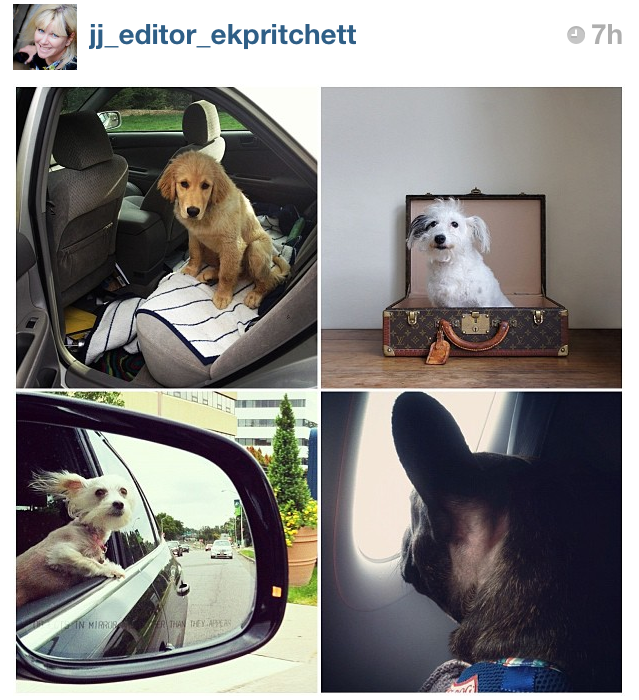 One of the #JJ editors featured my photo (top-left) of our family dog, Cooper, today for the theme of travel. Cooper is always trying to sneak into the car with me, and how can I say no with those eyes?! Last month, I started my own anarchy group called @jj_minnesotausa (my home state). Put simply, anarchy groups are niche forums within the #JJ community. 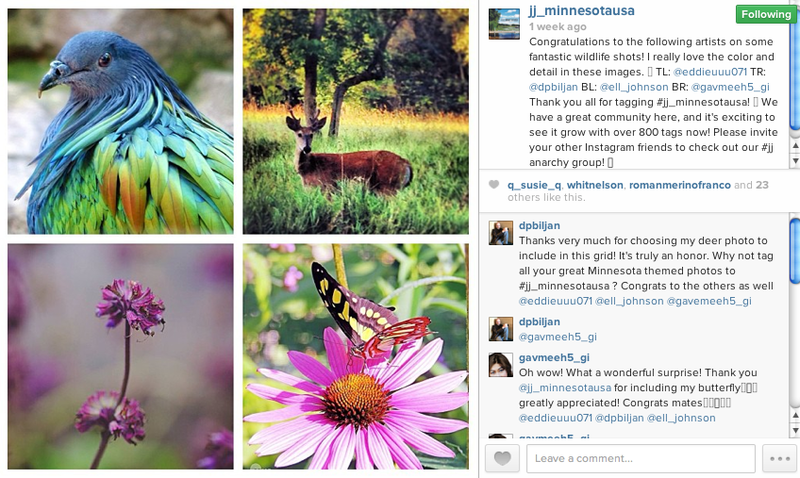 Anyone with photos from around Minnesota can tag #jj_minnesotausa for a chance to be featured. So, what’s next? All of the hours curating and updating feeds … where does it get us? As far as I know, the editors don’t get paid for their work. You could think of it as wasted effort, but I believe I speak for a lot of people when I say, the gain exceeds that instant gratification you get from seeing 12+ likes on your photo. Instagram communities (some of the most popular include @instagood @instagramhub @all_shots and @joshjohnson) are organizing Instameets for their followers to meet in person and network with other photographers in their area. A new @JJ_AnarchyFiles Facebook group provides anarchy page leaders with a closed forum to discuss ideas for collaboration, ask questions and connect with each other. You also have the opportunity to improve your photography skills as you’re exposed to so many people who are better than you. I’m learning what is considered a “good” photo. In a tag filled with thousands of images, which ones stand out to the editors? Every editor sees something different; they prefer different styles, and it’s really interesting to see which pictures they chose to highlight. There’s this awesome feeling of confidence and accomplishment when a stranger goes out of their way to compliment or congratulate you on your photos — especially, when they are someone whose work you really admire. Here’s the thing about the #JJ community — there’s no negativity. Even though a little constructive criticism might be helpful at times, I’ve never seen anyone say (or indicate with emojis) something less than encouragement. Honestly, if you post a bad picture, people will just ignore it. 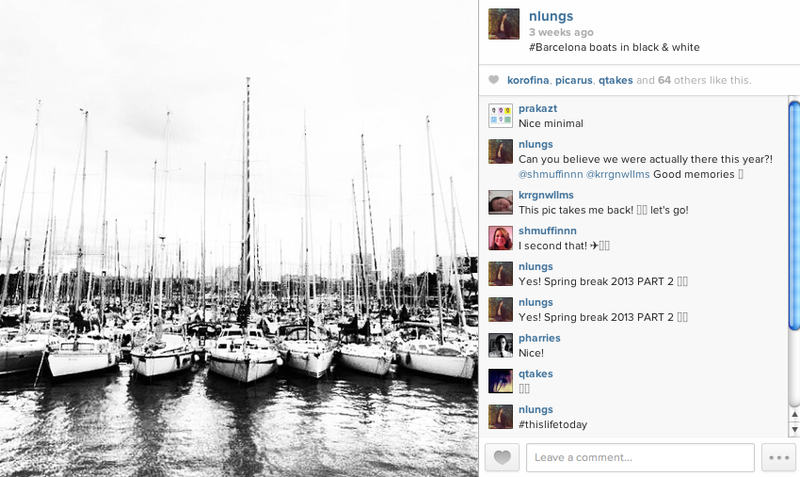 It’s this fire of competition, too, that makes the Instagram so exciting. There’s a standard of professionalism expected by those who tag #jj, so the forum is not bombarded with spam users, or an over-production of cliche feet or food shots. In conclusion, it’s something worth checking out if you’re on Instagram. Stay tuned for next week: I’ll post a list of my favorite anarchy groups and tags you should definitely check out. You can follow me on Instagram @nlungs, and let me know who you are so I can follow you back!